First Aid Kit are Johanna and Klara Soderberg. They are from Sweden where lots of good music comes from. I hadn't heard of them until my brother Mike told me about them recently. My brother is an artist but I think he would make a pretty good radio presenter too. 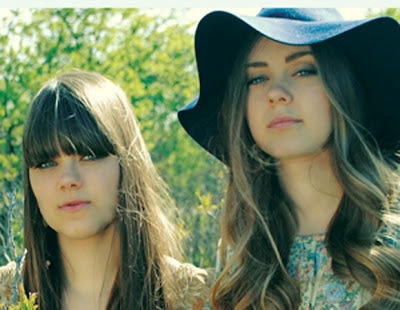 First Aid Kit's latest album is The Lion's Roar and their new singles is Blue.